The 2014 UCL-Lancet Commission is a new ambitious initiative which has brought together senior international climate scientists, economists, energy experts, and health professionals to target “the biggest global health threat of the 21st century”. It offers an opportunity to accelerate mitigation and adaptation policy to respond to the health effects of climate change. Building on the success and scientific underpinnings of the 2009 Commission, it will be solution-focused, and will provide a policy road map to lever influence on the international community. It will be completed by February 2015, timed and structured to inform the UNFCCC’s COP21, where a global, legally binding treaty will be negotiated and made operational by 2020. The Commission consists of a tripartite institutional collaboration between University College London, Tsinghua University, and the Stockholm Resilience Centre. The Commission will also draw heavily on international expertise as appropriate, aiming to be truly globally representative in its makeup. The report will conduct a review of the climate science and its subsequent impacts on human health since 2009, before assessing and presenting policy response options around four central themes: community resilience and adaptation in low-income countries; energy and technical solutions; financing climate change policies; and political mechanisms. 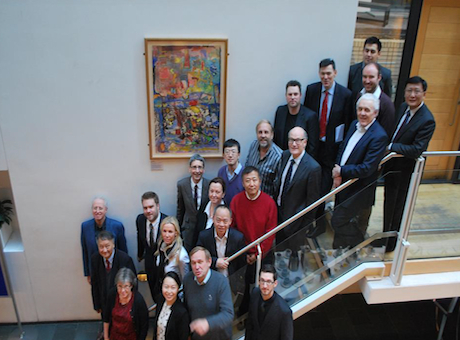 On the 16th and 17th of January 2014, the 2nd UCL-Lancet Commission on Climate Change and Health held its first meeting of academic leads in London. The meeting was held at the Institute of Global Health, and was complemented by a public symposium held in the evening of the 16th which gathered input from the public on potential areas of interest for the Commission. The UCL Energy Institute is playing a major role in 2 of the work groups which are looking at Technical Solutions and Financing. During Climate Week 2014 (3-9 March), the Lancet Commission project team joined UCL staff and students in blogging daily through the week. Climate Change and Water – A Link to Engender Action?